I opened this jewel of a book, hoping beyond hope that it would be filled with the type of poems that would inspire my prayers. I was not disappointed. After reading through the poems in Sister Lou Ella Hickman’s new collection, I am pleased to say she has done a wonderful job. With these lines I remember that Mary loved Joseph, having spent many years in his company. For Joseph, she cooked, sewed, cleaned, and lived. Now alone, she ponders he who was both treasure and family. Mary, how you must have missed him, and then later, Jesus. How did you bear the loneliness? These poems remind us that Jesus chose to perform his greatest miracles for the poor, the lonely, the widows, and the forsaken. WE are the poor, the lonely, the widows, and the forsaken, whom the divine physician wishes to heal. By placing ourselves in the Gospel scenes, we become more familiar with God. He shows us in these scenes: though the world may forget us, He has not, and will not, forget us. He wishes to heal us. He seeks us out, like he seeks out those in the bible. What words would you or I say to him there, in those scenes? As you read, you may find yourself stopping, as I did, to talk to Our Lord like those who came face to face with him did. Sr. Lou Ella’s takes on these familiar stories in ways that lead the imagination on new paths. Although the poems are the voices of many women from the Bible, the truths revealed are for all of us. These poems supply the reader with many what ifs. What if we could talk to these women? What if they could respond to us? What would we learn? What would we ask? 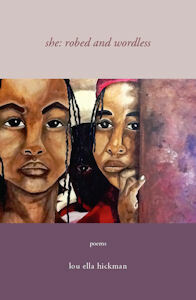 These poems bring these women to life, and along with them, the gospel scenes themselves. How many men and women (who haven’t known the love of a father) study the curious movements of those men who not only got it right, but relished their fatherly role? Who are these men ? How many women will weep as they read Sr. Lou Ella’s words of a woman amazed at a father’s tender love for his daughter? Not only will this book help you come to know the women of the bible, but these beautiful poems are sure to trigger your imagination and prayer.